Former Middle Tennessee resident Sharon Van Etten’s voice is a pure delight on her latest musical statement epic. The singer-songwriter, currently based out of Brooklyn, recorded the seven-track EP at Philadelphia’s Miner Street Recordings, which is currently available on Ba Da Bing Records. “Don’t you think I know/you’re only trying to save yourself/just like everyone else,” Van Etten urgently repeats in the exquisite, mid-tempo masterpiece “Save Yourself,” which is easily the EP’s standout track. Here, Van Etten sounds vaguely reminiscent of Kim Richey and Aimee Mann’s most powerful songs. This collection of highly personal songs, takes the listener along on a cathartic musical journey of heartbreak and healing, which is told from a distinctly female perspective. 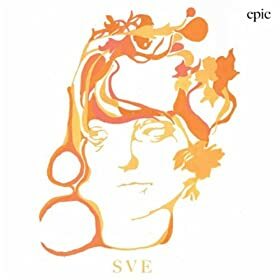 Although this genre of music may not be for everyone, Sharon Van Etten’s epic, is definitely worth exploring. There are moments of sheer brilliance displayed here, and that bodes well for what lies ahead for this talented and promising artist’s future. Learn more about this compelling performer and her music at sharonvanetten.com.